In December 2004, at the site of Romet Bicycle Factory, Family Park Play Centre was created. This sad and gloomy former factory hall turned into a colourful wonderland of children's play and dreams coming true. was created for all those who want to spend time with their closest ones in an interesting way. Our aim was to allow all family members at all ages to relax in an active way. Our site has an area of over 4000 m2. It includes a playground for the youngest ones, who can discover the world under the watchful eye of our animators, while having a lot of fun at the same time. 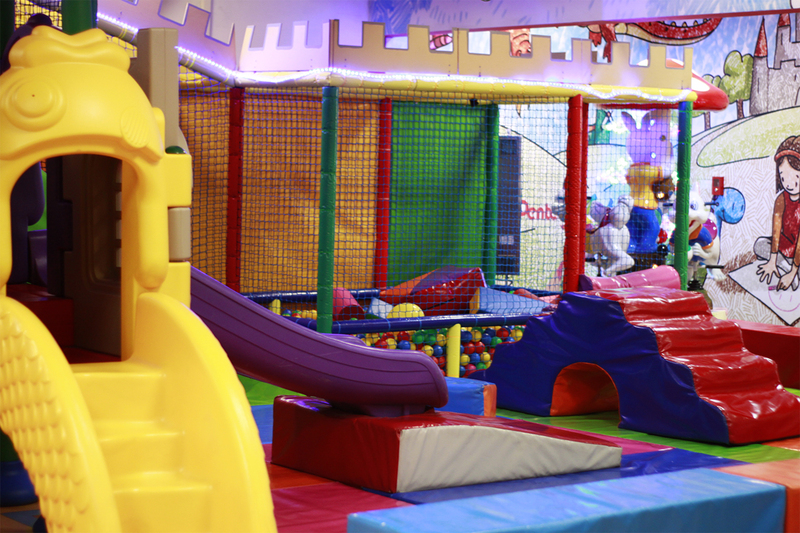 A climbing wall, battery operated cars and numerous other attractions for children allow them to learn new skills during various physical activities. We also have a bowling centre, which is perfect for family tournaments or a casual game with friends. More than a million kids have visited us over the last eleven years. We are proud that a new generation of children comes to Family Park to discover the world by playing and learning. Our team is a group of creative, energetic animators with their heads full of ideas. We train our personnel in a way to guarantee that all our children play in a safe way. Join our team of the best animators! Our main goal is to ensure technical and sanitary safety, which allows us to create good conditions for full creativity and family fun. Our team ensures everyday correct functioning of Family Park. Play in Family Park is safe thanks to the team of technical specialists, who perform everyday checks that are compliant with applicable guidelines and based on the control of devices through visual inspection and functional controls which allow to prepare a detailed evaluation of each device. Every year, Family Park undergoes the process of technical accreditation by an authorized specialist, who inspects all devices and documentation in the park in order to issue a certificate, which serves as basis for running the Park. Our buffet offers everything that can satisfy the needs of both children and parents. Snacks, refreshments, and desserts to regenerate after all the difficulties while winning Figloraj. Parents who need some energy to keep up with their little ones can enjoy a delicious coffee. 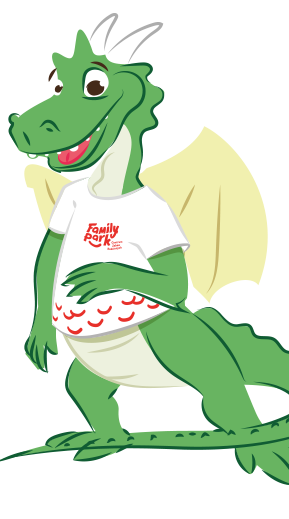 Our professional team of animators, educators, and teachers ensure safe relaxing activities and great fun for children. We are a team of young creative people, who are dedicated to their work. We undergo trainings related to animation, face painting, and balloon twisting, in order to continue surprising our little ones with new play ideas. Imagination is our only limit, and smiles of children are the best prize.